A commercial for the Motorola Atrix has been banned by the Advertising Standards Agency because of its claim to being "The World's Most Powerful Smartphone." The ASA, which regulates advertising in the UK, says that because the Samsung Galaxy S II has a more powerful processor - 1.2GHz vs 1GHz - Moto's claim is invalid. Motorola has argued that because of the Atrix's better battery capacity and the device's ability to completely power a laptop shell accessory, it is indeed the most powerful. However, the ASA has placed more stock into the processing speed of the respective devices and demanded that the TV campaign be pulled. 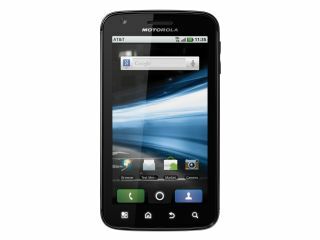 In the ruling, the ASA said: "Motorola said, although the Samsung Galaxy S II i9100 had a slightly faster processor, it did not operate the unique computer-like accessory ecosystem that the Atrix did," the ASA said in its ruling. "It said the advert did not claim the Atrix's processor was the fastest, but rather focused on the combined features of the performance and capability of the product." The ASA said that although Moto's claim did have aspects of validity, it would be misleading to the public to claim it was the most powerful, when a rival device had a faster processor. "We considered most viewers would understand the claim 'the world's most powerful smartphone', in context to a smartphone, to mean that the product had, among other features, a faster processor than any other smartphone," the ASA added in its ruling. "Because the Samsung Galaxy S II i9100 had a faster processor than the ATRIX, we considered the claim "The world's most powerful smartphone" had not been substantiated by comparative evidence and concluded that it was misleading."